Crystal Palace defender Pape Souare said he is not certain he will ever recover completely from injuries he suffered in a horrific car crash in September and resume his career. The Senegal international broke his jaw and thigh bone in the accident on a motorway outside London and needed to be cut free from the wreckage before being airlifted to the hospital for surgery. 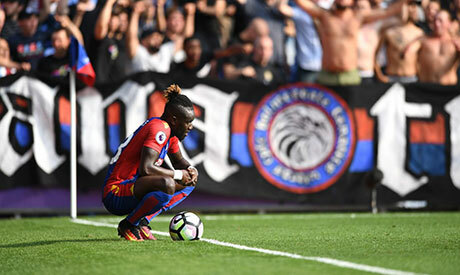 Manager Alan Pardew previously said Souare would be "up and running" in six months but the 26-year-old has now expressed doubts over his footballing future. "I don't know about my injury. I don't know if I can get back or not," Souare told BBC. "Sometimes I think I was very lucky because it was crazy and it could have been worse for my career or my life. "The injury was very bad... it could have been worse. My leg broke and with my jaw, I couldn't eat for the first month. Now, I can eat. "I remember the helicopter coming to get me. I remember the door on my leg ... I remember they cut the roof to take me out." The left back joined the South London club in January 2015 from Lille.